For well over a decade, Dr. Urshan’s weight loss clinics have been helping patients to lose weight safely. If you are interested in losing at least 20 pounds* and improving your health, allow us to use our proprietary weight loss technology to measure your galvanic skin response and pinpoint your optimal fat-burning zone. Our physicians and trained staff will also identify the root causes of your weight gain and compile a customized individual plan for you that will prevent hunger cravings and contain no pre-packaged food. We’ll give you a nutritious and healthy diet plan, comprehensive health evaluation, personalized exercise program designed to meet your specific needs, personalized assessment and personal weight guidance counselor who will assist you to achieve the amount of weight loss you desire. See why so many people in St. Petersburg, Palm Harbor, Clearwater and nearby regions choose to visit Dr. Urshan’s weight loss clinics. With our proven methods, you’ll be able to change your lifestyle with a better diet plan, healthier food, improved exercise routines and, perhaps, even a better outlook on life. 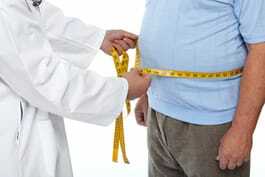 Contact us today for a free consultation, and experience for yourself true physician weight loss.